Launching a camera on a kite is a low-cost, DIY method for creating grassroots maps and documenting environmental and humanitarian issues from above. 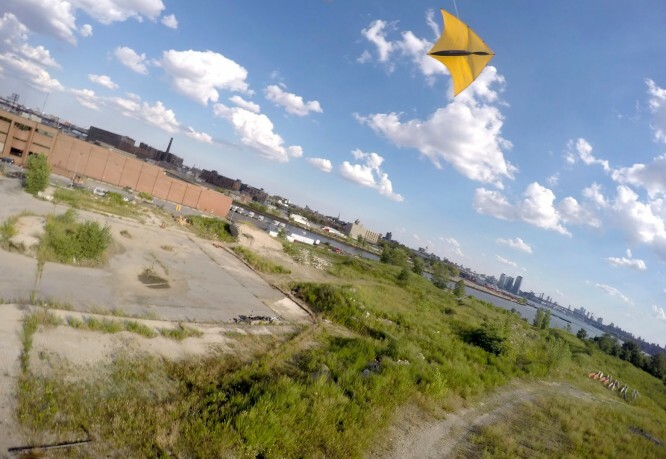 In this hands-on workshop, artist Laura Chipley will lead participants in using kite mapping methods developed by the Public Laboratory for Open Technology and Science to capture aerial images of the landscape of Hunter’s Point South, before the site is radically transformed by development. The workshop will also discuss other uses of kite mapping, including Chipley’s ongoing project, The Appalachian Mountaintop Patrol, which uses DIY aerial photography to document mountaintop removal in West Virginia. Work gloves and sturdy shoes are highly recommended, and bringing your own GoPro camera is encouraged!